You career can’t be left to chance. Yet, almost all are. That’s something probably no one ever told you when you graduated from school, when you took your first job, or even years later when you speak with your colleagues. The truth is, most people stumble through their careers with no true target or purpose. Their course of career life (VITAE) is often rudderless; simply drifting towards success or hardship once they take up their chosen occupation. Yes, most careers are left to chance. And something we at Sequence understand, perhaps better than anyone else, is that there are two things that set the most successful professionals we deal with apart: 1) they are constantly assessing themselves and focusing their efforts and trajectory on continuously building their careers and 2) those who are the best branded individuals (those with the most compelling resumes and supporting professional materials) are the ones that land jobs, are consistently offered the best opportunities, are seldom out of work long, and tend to make more money over the course of their careers. Today, Sequence is the innovative leader in the career planning services sector. We are especially known for providing job seekers and career minded individuals an exceptional level of professional and personalized service and expertise in career planning, personal branding and candidate marketing. Trusted by individuals and prominent industry professional organizations alike, we are highly sought after speakers and hands-on instructors to lead career workshops, networking sessions and resume clinics for leading trade associations and other organizations throughout the United States. In addition to our widely popular Resume Writing and Branding Services, we also offer Career Consulting and Planning Services. We often couple this with our well known VITAE Exercise and other professional development offerings. This is your opportunity to gain career advice and insights from some of the industry’s leading and most innovative experts in the field. We offer one-on-one phone and in-person consulting on an hourly bases at a rate of $120 per hour. The interview is the most important meeting you will have with a prospective employer so you don’t want to take chances that may spell disaster. What do you say? What should you say? How should you act? And, what should you expect? These are all important questions. How you perform in the interview has a direct bearing on whether or not you get the offer. Our professional recruiters and career planning consultants have developed their expertise in this area by conducting thousand and thousands of interviews of job candidates. They know the questions to ask; how to take adantage of the interview process; and most importantly, they know how to guide you in preparing for your next job interview. Unlike other interiew coaches, they won’t just give you tips. They will specifically guide you with practical advice so you will have the confidence going in to win the interview. This includes straight-forward feedback and establishing an effective interview plan. Our experts will guide you through the process of answering difficult questions and how to seize control of the process. Job searching in the 21st century is quite different from the recent past. That’s because so much has changed with the advent of the Internet, related social media sites and software applications that have been developed, not to mention the the ubiquitous use of vast HR databases. It requires more than just a resume and some casual netowrking. Today, it’s an all-out process that demands your keenest attention and ability to navigate the perilous channels of the job search waters. From career planning to targeting opportunities, and from online/offline networking to building your brand, Sequence has the most knowledgeable, experienced experts who can personally help guide you through the process employed in today’s job marketplace. With years of hands-on practical recruiting and candidate marketing experience, our perfessional career planning consultants and experts will work with you one-on-one to teach you how to make your job search effort effective, and aimed specifically at obtaining the job of your dreams. We work to help you to assess your strengths and weaknesses. This includes assisting you in determining your brand value, worth, importance, and usefulness. We will engage with you to define your knowledge, aptitude, experience, skill set, expertise, competencies, specialties, proficiencies, talents, gifts, key attributes and characteristics, abilities, capacity, capabilities, and “go to” purpose. Our experts will assist you in comparing these to your chosen occupation to gain greater insights into your profession and as foundation to the path of expressing who you are and building your brand. Our team of professionals will work with you directly to investigate and take a detailed inventory of your personal brand. We will assist you in determining what do you need to effectively market yourself. This includes exploring the assorted personal brand marketing materials associated with successful career planning, management and job search efforts. Then we can walk you through the process for performing an inventory, assembling the information and conceptualizing the groundwork for establishing the materials that will enable you to build and polish your brand. At Sequence, we are trained to assist you in taking aim of where you want to go, people you want to know and determining how you will get there and target them. We will work with you to chart a plan of action. This includes helping you to summarize your goal(s), objectives, plan, timeline/schedule, and start the process of thinking about your future. This targeting work is normally done as an exercise for developing your compelling story, building a your MVP (My Value Proposition) and creating a focused brand. We personally will work closely with you to develop your compelling story. Everyone has a story. It’s the account of who you are. Your story is unique to you and sets you apart from all others. It’s the history of your life; your career journey. It reflects your experience, accomplishments and what you have learned along the way. Once you have written your compelling story, develop it into your MVP Pronouncement (My Value Proposition) for expression to the world. Your MVP pronouncement is the core of your brand value proposition and adaptable for use in every circumstance and situation in one form or another. It’s three-dimensional and the essential tool used for expressing your value as a strong personal and professional brand. We pioneered the concept of the MVP and will assist you in building yours and elevating your personal prouncement beyond the traditional to create a truly powerful message. Just as our lives evolve, so do our careers. The path in which our career moves along is often commonly referred to as career development. Our career evolution is a lifelong process of change and adaptation to new environments, situations and circumstances; luck (both good and bad); unforeseen opportunities as well as setbacks; increased awareness, knowledge and education; and a balance with our personal life. 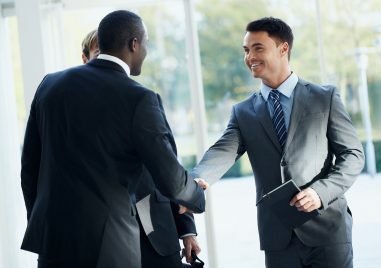 Career development is “…the total constellation of psychological, sociological, educational, physical, economic, and chance factors that combine to influence the nature and significance of work in the total lifespan of any given individual,” as defined by National Career Development Association. While an all encompassing, formal definition, we acknowledge the psychological, sociological, educational, physical, economic, and chance factors. Your career evolution is complex and in order to understand where we are headed we need to look back to see where we have been. Though personal engagement our professionals can work with you to determine what has evolved in your career, how it relates to your vision and mission, goals, objectives, dreams and aspirations. We will work with you to evaluate how you are progressing. What is working and what is not. This is an introspective look at our evolution, particularly as it relates to your individuals career path and plans.